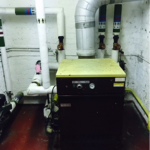 The smallest problems with your church heating system can have the biggest implications. As gas leak can be devastating, and a water leak can cause just as much damage. If the worst should happen, at least you know you can call The Church Heating Specialist to help you out. With a leaking water pipe, it is essential to have it repaired immediately, as the leak could turn into a burst, and the damage caused could reach thousands of pounds. 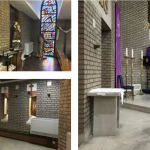 If you discover a water leak, the first thing to do is isolate the water by turning off the mains supply, usually located on the exterior of your church. Next, call the experts on 0161 211 6955 and we will make an initial inspection, followed by a free quotation and work carried out. To avoid an even more devastating catastrophe like a gas explosion, prevention is the best remedy. Having your church heating system maintained on a regular basis will ensure that this kind of problem will not happen. 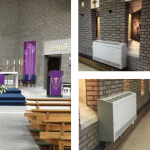 Safety for you and your visitors is our number one priority, and our service contracts mean we can keep your church heating system running safely.